Do you like our server? 1. Yes, because things works. 2. Yes, because it is stable. 3. Yes, because of the customizations. 4. Yes, because my friends are here. 5. No, because it is unstable. 6. No, because of the customizations. 7. No, because things do not works. 8. No, because my friends do not play here. WARNING: Carefully read the terms and rules described in this document. If you disagree with any of the paragraphs below do not join our community. By joining, you are automatically agreeing to the terms and rules described in this document. 1. 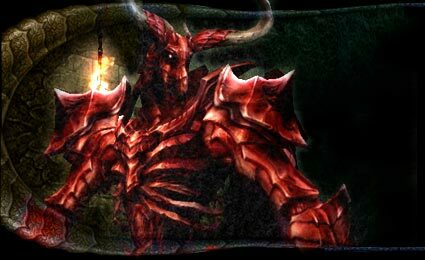 Revenants is a community based on a free Lineage 2 Freya version server. 2. 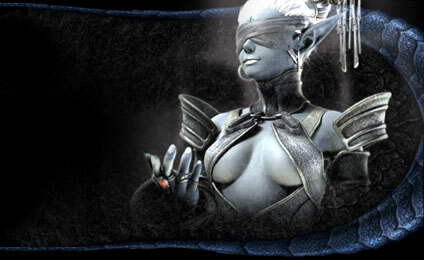 Our community includes: Site, Forum, E-mail, Facebook page, Facebook community and our Lineage 2 Freya server. 3. Our server is based on Open Source platform. Therefore, there is no copyright of the creative source. 4. Revenants Staff includes: Our Administrators (ADMINs), our Game Masters (GMs) and our Support Teams (STs). 5. We inform that there is no type of bilaterality of contracts between Staff and members of our community. 6. The terms and rules cited in this document are valid for our entire community, and no distinction or exclusion is made under any circumstances in any of the above mentioned media, unless stipulated by any member of the Staff and without prior notice. 7. It is not possible to carry out any type of registration in our community through websites, blogs, external links and / or any type of communication vehicle other than those described in paragraph 02 of this document. 8. We are not responsible for any type of fraud attempt that includes the registrations and / or personal data of members of our community. 9. Any and all types of data provided, whether personal or otherwise, by members of our community in their records are the sole and exclusive responsibility of them. 10. When creating a registration on our site, members of our community will have the right to use our forum exclusively and to enter our server the procedures are different from the one mentioned above and are described in paragraph 11 of this document. 11. To join our server you need to download our patch whose link can be found on the Downloads tab on our site. After downloading, just extract the folder to your client system folder. 12. We do not have a data recovery system, so the data of the members of our community are totally their responsibility as already mentioned in paragraph 08 of this document, so do not contact our Staff requesting your data. 13. We will not respond to requests and / or allegations of hacking by members of our community and will consider any loss and / or loss of data such as carelessness and / or unwillingness to provide such data to third parties. 14. We clarify that the members of our community are not our customers, for this reason, they are not buying a product with us and / or contracting a service from us. We also have no type of employment relationship with any member of our community and / or our Staff. 15. The making of donations by the members of our community helps us to keep it running. The donations made by our members does not imply that they will have any kind of benefit in our community for the donation made. 16. As a courtesy on our part, for every BRL $ 1,00 in donations made by our members, we propose to deliver to the donator, in-game, 01 Coin of Luck. Our Coin of Luck can be used in-game in specific NPCs. 17. Any expenses incurred by our members, whether with donations made to our community, electric energy, internet access, lan-houses and / or any other type of expenses, financial or otherwise, are the total and exclusive responsibility of the community member and are not refundable. 18. Members of our Staff will never ask for the registration and / or personal data of members of our community under any circumstances and by any means of communication. Our Staff will never send to members of our community any kind of message or notification requesting renewal or change of registration by our members. 19. We authorize the use of boxes in our server up to a maximum of 03 boxes. If, for any reason, any member of our community uses any means to circumvent this rule, the member will be automatically punished by our Staff. Box verification is based on the community member's IP number. 20. We do not authorize the use of hacks, bots, exploits, injections, bugs, programs, etc... that benefit some members in detriment of others by altering the purpose of our community. The use of these means is considered, by our Staff, as illegitimate, illegal and unfair, implying in punishment of the members of the community that make use of them. Members who do not report directly to our Staff the use of these means will also be subject to punishments. 21. Punishments applied by our Staff to members of our community may be: Written notice, kick, temporary jail, permanent jail, banishment. During the punishment process applied by our Staff, the punished member has the right to defense, which must be carried out through concrete evidence sent to the members of our Staff, who will analyze the case and communicate the decision to the punished member. Punishments may or may not be reversed and the terms of the reversal will be chosen by our Staff upon notice to the punished member. The decisions made by our Staff, whether in the case of punishment of a member of the community or in any other circumstance are irrevocable and irreversible. 22. We do not allow discriminatory and / or prejudiced manifestations, whether racial, social, cultural, linguistic, religious or sexual, by any member of our community. 23. Any interference by our members with other members of our community or with members of our Staff, with banal subjects and / or gratuitous annoyance will result in a written notice sent by our Staff, by insisting on a 2nd Once the member receives a kick, a 3rd insistence will result in a temporary ban. 24. The attempt by any members of our community to pretend to be a member of our Staff to other members of our community and / or the suggestion that they have access to benefits with our Staff will be considered fraud and will result in permanent ban of the members. 25. Members of our community with names and / or registrations of records similar to those of the members of our Staff and / or that are considered by our Staff as pejorative, insinuating, etc ... Will result in punishment of the member of the community who own them. 26. The commercialization, by real currency, of any item and / or material object, immaterial, digital, fictitious, etc ... From our community by our members will result in banning the same and legal implications. 27. It is prohibited any type of propaganda, comment, insinuation, commercialization, etc ... Of companies, other servers, products, services, etc ... In our community. The infraction by members of our community will result in permanent banning of the same and legal implications. 28. All members of our community, without exception, should be respected, especially the members of our Staff who are the highest authority in our community. 29. The server of our community may be restarted without notice at any time. Any losses, in-game or not, by the members of our community during this process will not be refunded, without resources or questions from the members of the community because this process is part of the necessary procedures.